It's Friday! If you're ready for a drink, we've got one: Mint Mojito. Easy to make (5 minutes), this drink combines the taste of mint with agave nectar and fresh lime juice, with white rum for the kick. It's Friday! If you're ready for a drink, we've got one: Mint Mojito. Easy to make (5 minutes), this drink combines the taste of mint with agave nectar and fresh lime juice, with white rum for the kick. 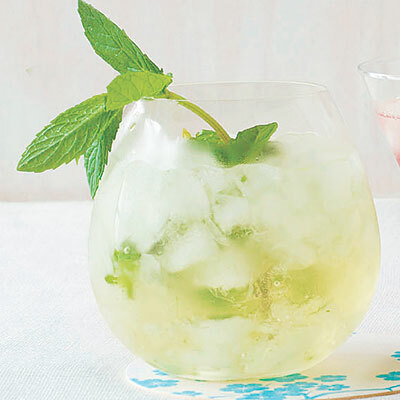 Just combine the mint leaves, agave, rum, and ice cubes in a pitcher. Mash the mint leaves, rum and agave together; stir in lime juice and sparkling water. Serve. Calories: 201 per one-cup serving.